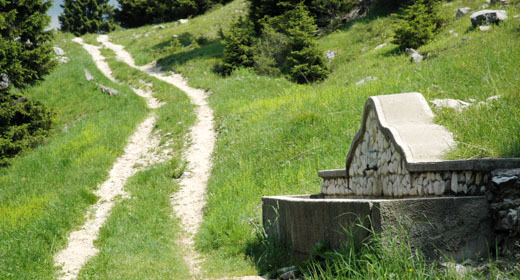 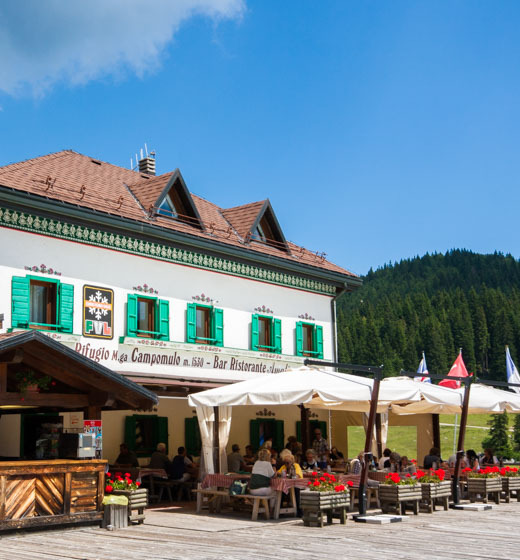 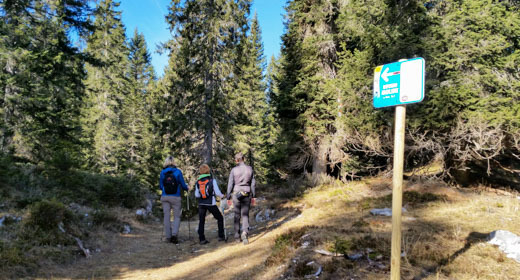 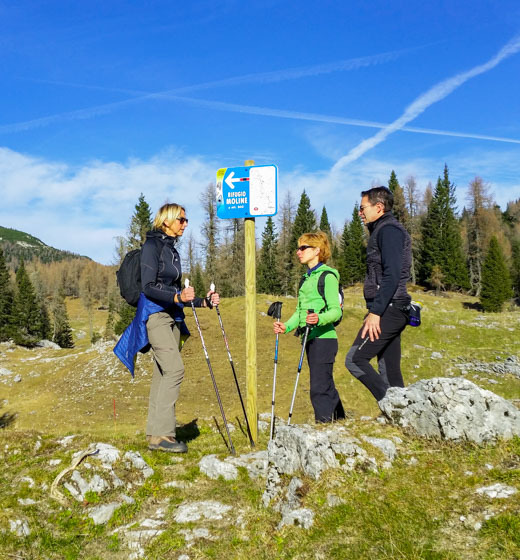 The path to Malga Moline is a fascinating journey into the most beautiful and unspoiled nature of large step North ofAltopiano di Asiago, departing from the Base Hut Malga chalet at Campomulo. 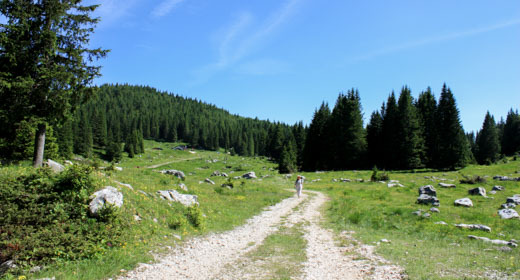 This is a route of Medium difficulty, which at 240 meters in altitude, crosses enchanting landscapes, where peace and silence reign supreme and where, if you are lucky, you can meet some animal in the Woods. 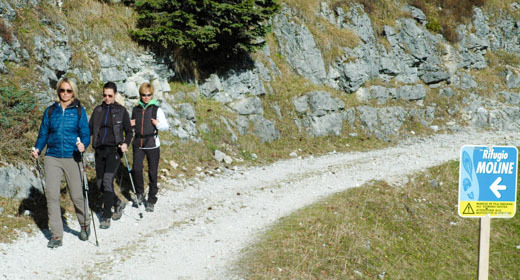 In fact, the route also passes to the rock face of Carlin, frequented by beautiful specimens of grouse and deer. 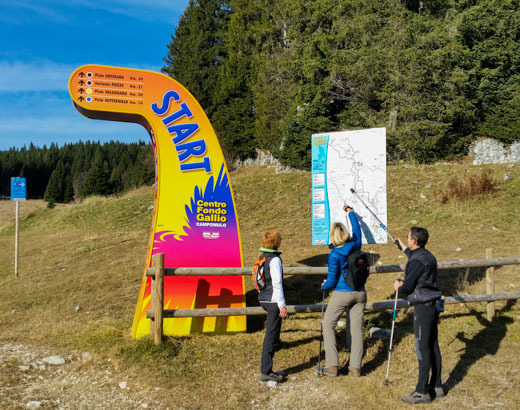 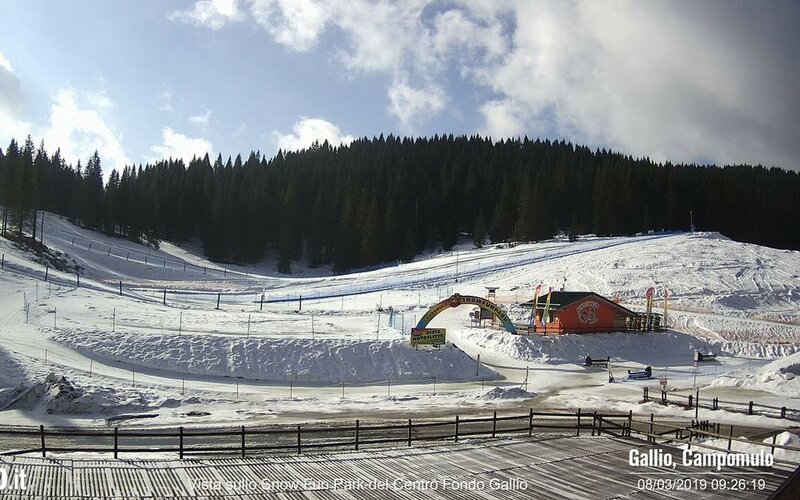 This beautiful route, moreover, is also open during the winter: the snow groomer allows typing with modern both the Nordicand the walk with snowshoes. 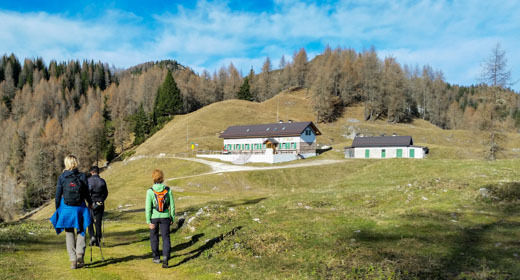 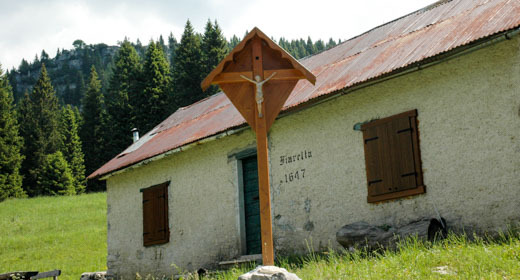 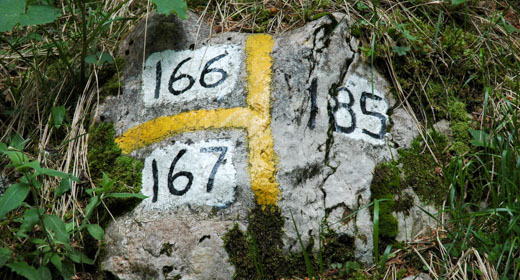 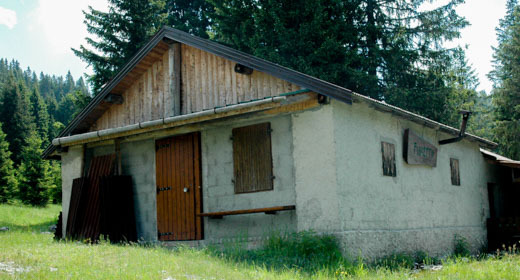 The route to Malga Fiaretta, departing from the Base Hut Malga chalet at Campomulo, is a short and easy path that, with only 117 meters, leads to the discovery of nature and history of the plateau. 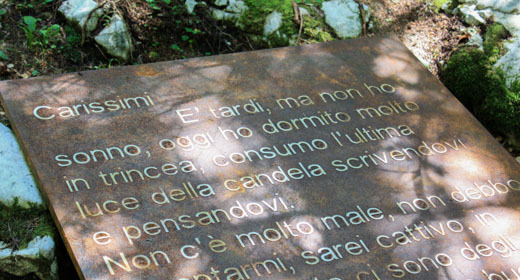 The adventure through the memories of the great war and the traditions of the past start now: shortly after departure, you arrive at the crossroads leading to the monument built in honor of Pope John Paul II and, after 300/400 meters, comes the spectacular great war Military Observatory, from which you can admire a breathtaking view over much ofAltopiano dei Sette Comuni; continue along an old military mule track, between remnants of trenches and barracks built during the first world war, and finally to Malga Fiaretta, whose pool of mountain pasture, his pasture and the three buildings typical of the "malga" (shelter for animals, casa del malgese and casara) reminds us of the past and ancient traditions. 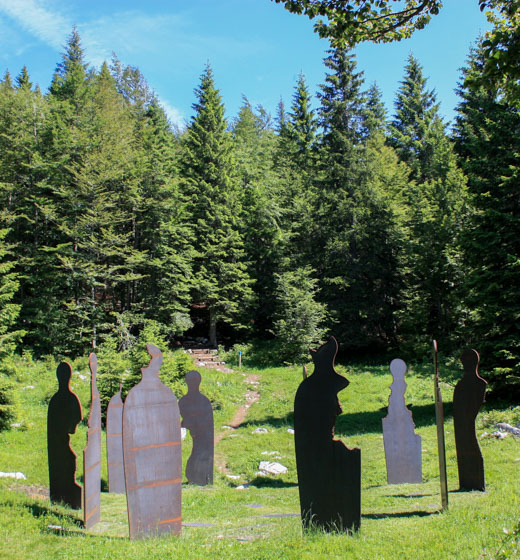 The "Path of silence-gate of memory" is a simple circular route along which were set up 10 installations consist of contemporary artworks on the theme of war, to reflect those along about the horrors of war and the importance of the values of peace and brotherhood. 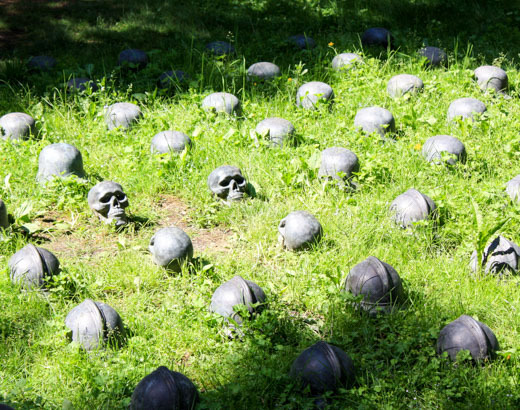 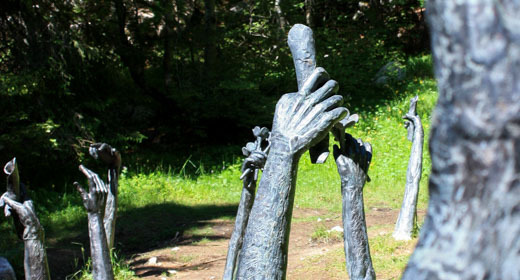 The 10 sculptures (Peace, Compassion, Hope, Letters, Witnesses, Armies, Live Flower, Black maze, the immortal, Glorious Fruits) have been made with durable materials (bronze, stainless steel and stone) and are accompanied by an essay or a poem. 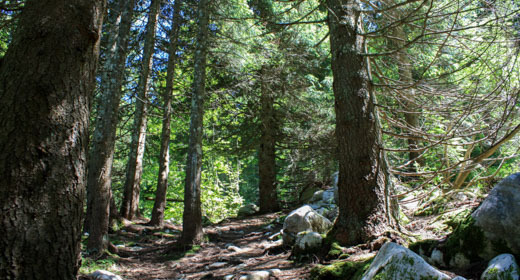 A path that arouses deep emotions, sobering and that allows the visitor to go toe-to-toe in nature and in history of the plateau.